It's the PURR-fect Day to WOOF Down Some Beer for Stray Rescue! 100% of proceeds from featured beers will be donated to Stray Rescue. 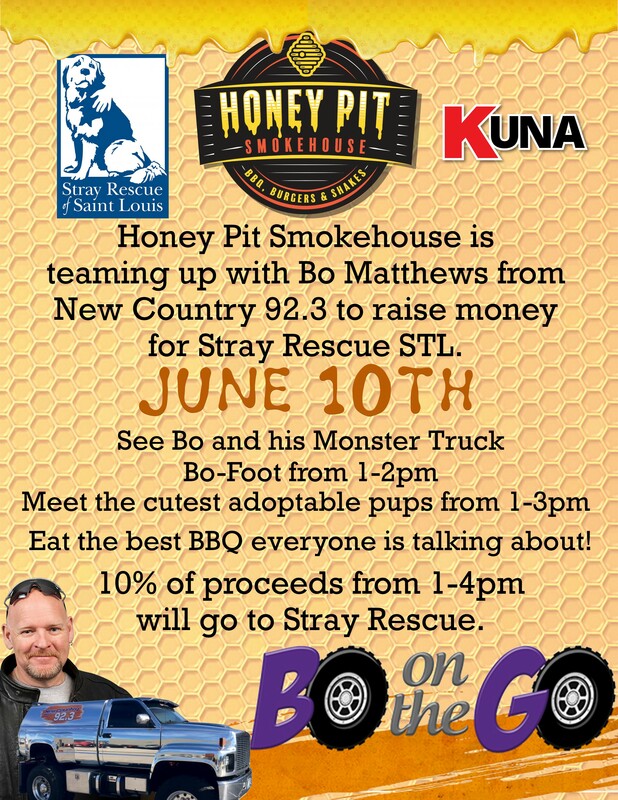 You can also meet adoptable furbabies from Stray Rescue of St. Louis from 1p - 4p! Yappy Hour at Big Daddy's in Soulard! 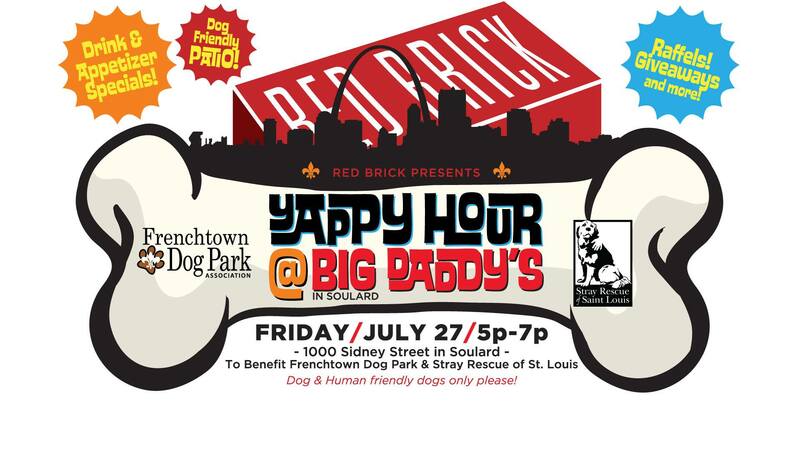 Friends, neighbors, co-workers, clients, and residents - grab your canine companion and come hang out with us on one of the BEST patios in St. Louis - Big Daddy's in Soulard Friday, July 27! Drink & appetizer specials! 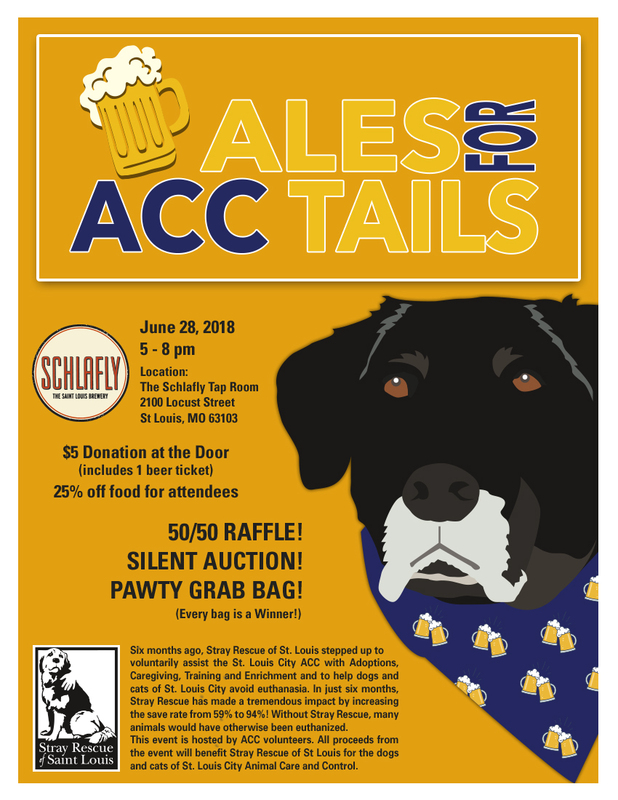 Giveaways and raffles to benefit Frenchtown Dog Park in Soulard and Stray Rescue of St. Louis! 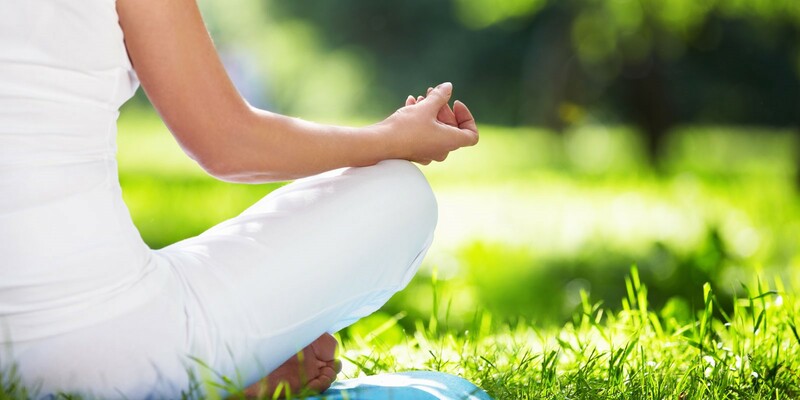 Join teachers Andrea Vince & Alicia Trebus for donation-based yoga in the great outdoors! Classes are offered each week on Tuesday evenings at 6pm in Oak Knoll Park, weather permitting, tentatively through October. Each week, 50%+ of donations will go to rotating local non-profits based on organizations you'd like to support. And on Tuesday, July 24, your donations will support Stray Rescue! Suggested donation $5-10. Click Details for more information! 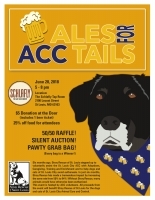 Ales for ACC Tails will take place Thursday, June 28, 2018 at Schlafly Tap Room from 5-8pm. All proceeds from the event will benefit Stray Rescue of St. Louis for the dogs and cats of St. Louis City Animal Care and Control! Lee Asher of the Asher House is coming to Stray Rescue Saturday, June 16th from 1-3pm! Meet Lee and his pack, check out his RV and take pictures! 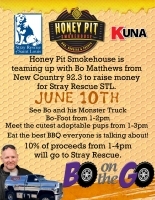 Honey Pit Smokehouse is teaming up with Bo Matthews from New Country 92.3 to raise money for Stray Rescue on June 10th! It's Clancy's 5th Annual BBQ Bash & Stray Rescue Fundraiser! Pints & Pups at HandleBar Patio! 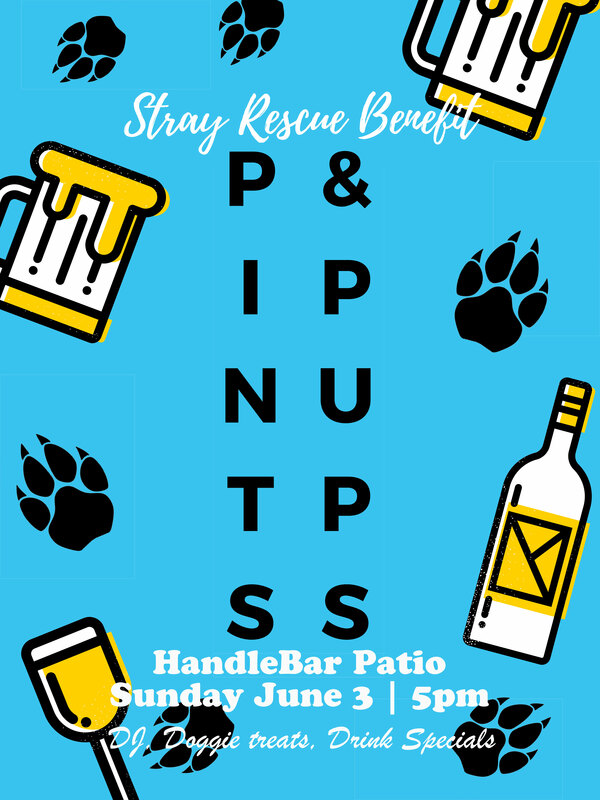 Head to the patio at the HandleBar in the Grove for Pints & Pups, a Stray Rescue benefit! 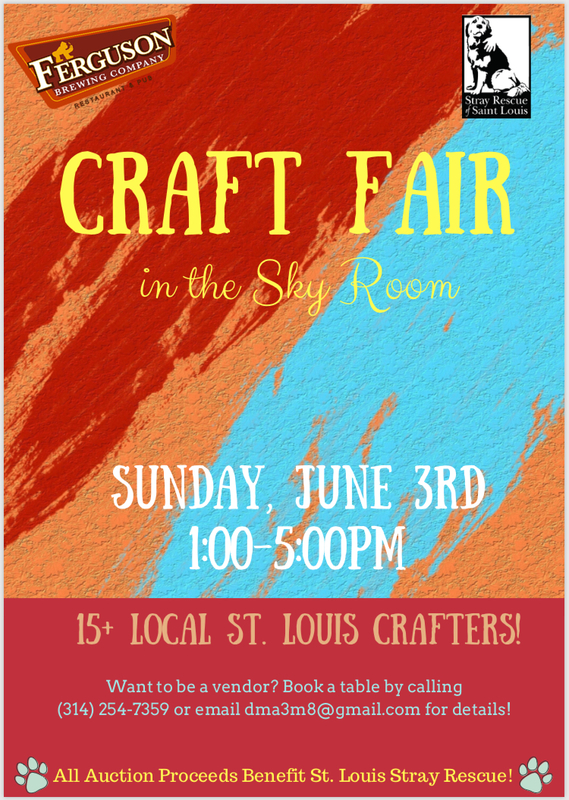 Craft Fair at Ferguson Brewing Company!